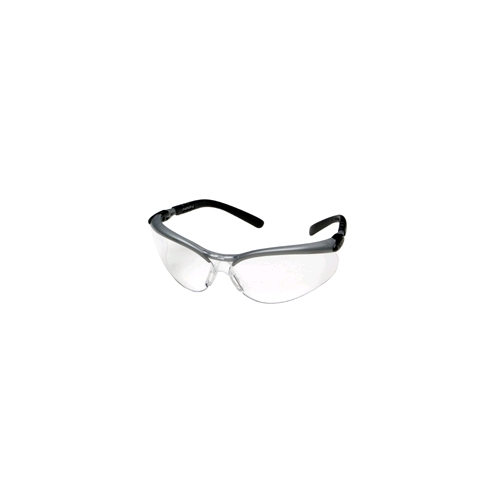 AOSafety BX safety glasses are designed to adjust to workers, instead of them having to adjust to it. Features include adjustable temple lengths, soft universal-fit nose bridge, soft fit temples, and three lens angles for custom fit. Reader lenses available for up-close work. High impact polycarbonate lens blocks 99.9% UV rays. Meets ANSI Z87.1-2003 and CSA Z94.3 standards.